me to rodeo's and set quietly through classes at Fresno State. 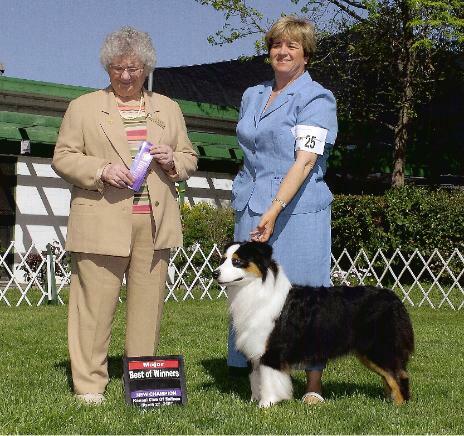 In 1977 I co-owned my first show quality aussie with Amnie Ewing. contract, and a puppy care package.